Even before I learned about the chakras, the meridians or anything else, I was introduced to the human aura. Defined by the dictionary as “Any subtle, invisible emanation or exhalation.” , the main conception of the aura by occultists and energy healers is that it is a subtle energy emanation surrounding all humans as well as animals and other life forms. It is multi-layered, emanating for a distance of about three (3) feet in, what some describe as, an egg-shaped field that interacts with the atmosphere of Earth. I remember someone once comparing the human aura to an onion with the human body at its core. It was related that as the soul descended into the denser energies, and finally into the physical plane, it wrapped itself in the energy of that plane – seven to be exact: causal, celestial, template, astral, mental, emotional, etheric. The average person doesn’t really have conscious contact with all the levels of their aura. At best, we operate from the astral, mental, emotional and etheric layers of the aura. 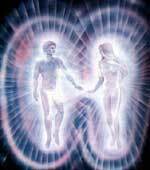 The etheric aura, sometimes referred to as the health aura, is closely linked to the physical body and, for those with the ability to see/sense it, can often indicate disease before it manifests in the physical body. It only extends a few inches beyond the physical body and can be seen as minute, bristle-like lines emanating outward from the body. When one is healthy, the lines are stiff and brittle in appearance, but when there is illness, the lines will appear tangled, twisted and/or curly – in extreme cases they can appear limp. The human aura, as a whole, is a vast reservoir of all our experiences and emotions – past and present. It both protects us from many of the energies we encounter during our day and, through its magnetism, attracts to us similar energies to those existing and vibrating in that aura. You can see how it becomes important to consciously place the best of vibrations, via our emotions and thoughts, into our auras and consciously maintain them so that we attract only good into our lives. “Knowledge is power.” or so they say. In an effort to educate rather than intimidate, I would like to pass some information on concerning a condition called “leaking aura”. This happens when a tear or rupture occurs in the aura that allows the vital forces to drain from the aura causing fatigue, lack of energy and the onset of many diseases. Now, in most cases, this occurs because of emotional distress or trauma, but it can also occur from being in the company of certain people who – consciously or unconsciously – recharge themselves by tapping into the energy of your aura. Have you ever been in the company of someone that, when you first encounter them you feel up and energetic, later you feel drained and even depressed? (Meanwhile, they seem to have become energetic and happy?) Yup, that’s an energy “vampire” and, in most cases this is happening unconsciously. There is a practice called “The Great Auric Circle” that is effective and, some say, infallible against all forms of psychic attack or influence. It is formed by clearly visualizing the aura completely surround by a great band of pure, white light. This is accompanied with a strength of will that all that is negative is banned from reaching you, but all good may enter in. This is a wonderful form of protection in any situation. Second, there is a practice in energy medicine called “The Zip Up” that involves the use of the central meridian that runs from the pubic bone to the bottom of the lower lip. The central meridian is one of the two energy pathways that govern the central nervous system. Besides protecting you from the negative energies that you may encounter in your daily life, the Zip-up also helps you feel more confident and positive about yourself and helps you to think more clearly. This is done by placing both your hands at the bottom of the central meridian, as if you were grasping a zipper; inhale deeply as you move your hands slowly and deliberately up the central meridian to the lower lip; exuberantly raise your hands to the sky as you exhale (this connects the central meridian to your aura and the forces of the Universe), circling your arms back down to your pelvis. This should be repeated three times. 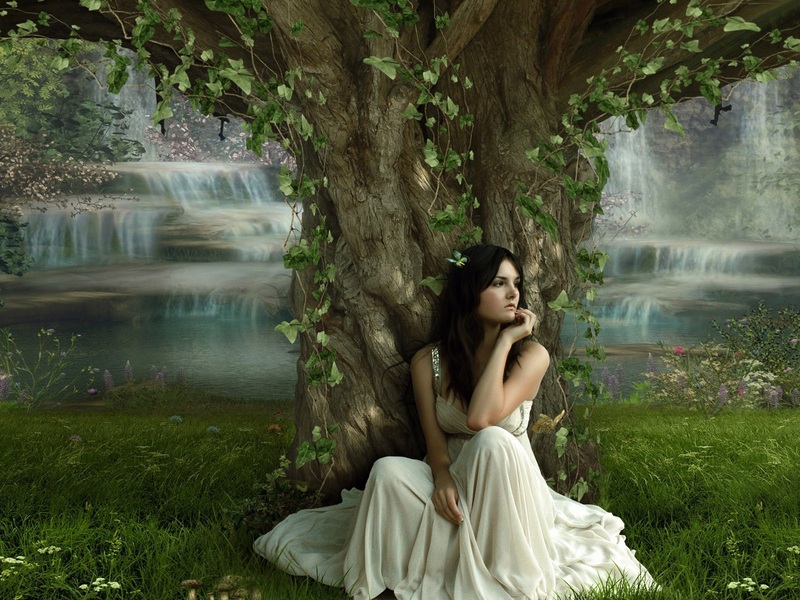 Finally, you can recharge your aura by finding a tree – oak being best but avoid using an elm – and sit at the base of the tree with your back to the tree, feeling the energy of the tree flow through and around you. Doing this for about 15 minutes will recharge your aura and you should feel that energy flowing in your aura when you get up. Don’t forget to thank the tree for helping you! Know this – if you want to really get to know what makes you tick, hum, run – get to know your body’s energy systems and how keeping them healthy keeps you healthy. The aura is a great place to start and will lead you to further explorations into the charkas, meridians and beyond! I’ll be back in a while to talk about the chakras. Until then, find yourself a nice oak to sit down under and recharge until I get back!!! This entry was posted in Astrology and tagged Aura, Energy Medicine, Metaphysics, Paganism, Self-Empowerment, Self-Healing, Self-Help, Spirituality, Transformation, Vibrational Healing, Wholistic Healing, Wicca. Bookmark the permalink. Excellent article…a good reminder to take care of self on all levels.